Any opportunity to score a victory over your nemesis – mental or physical – must be grasped with both hands. If missed, then the enemy may rise again and use this as a catalyst to enact vengeance. Back in 1971, the Double winning side of Tottenham, managed by Bill Nicholson, was still fresh in the memory and was ample ammo for spurs fans to lord it over their neighbours for many years. 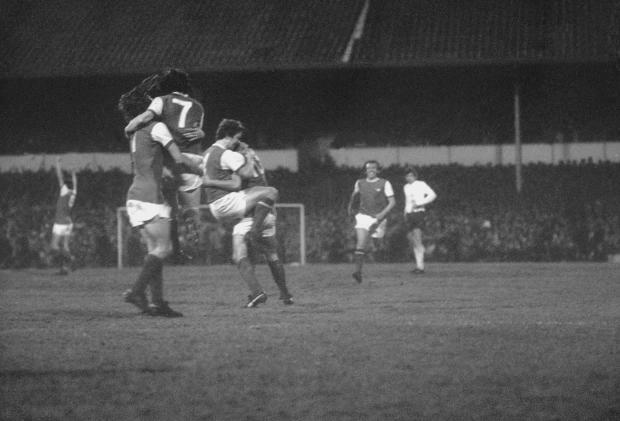 Arsenal hadn’t won a domestic trophy in 18 years but a flicker of life and a warning was sent to spurs in the form of the fantastic Fairs Cup triumph in 1970. This Gunners side was carefully assembled and physio-turned-manager Bertie Mee had them playing football which would surely be in the hunt for honours in 1970/71. Fast forward a year, Mee’s side had won the League – at the home of Tottenham. The turnaround was complete. 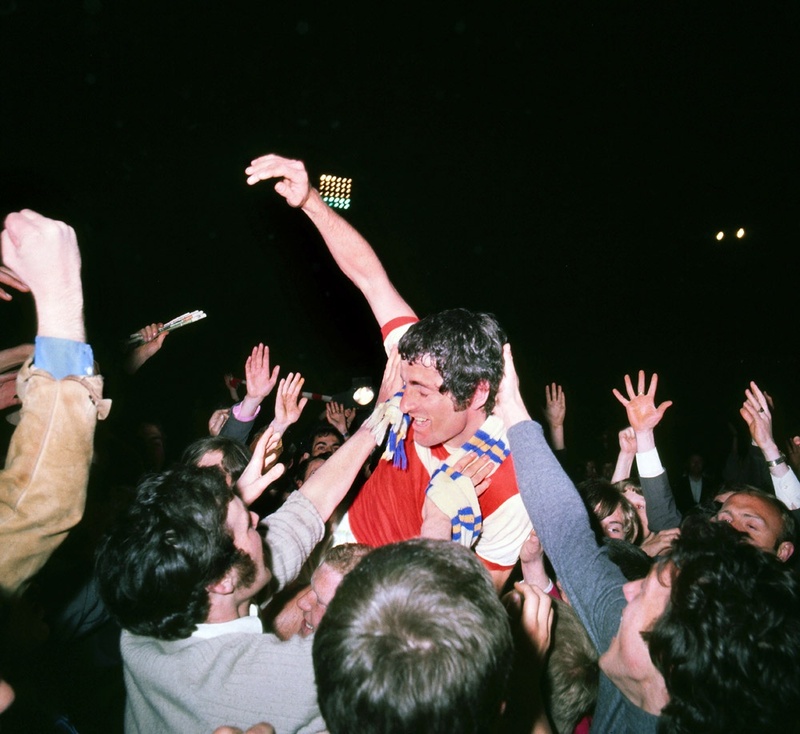 Arsenal then added their own gloss by emulating their rivals five days later – the Double achieved by winning the F.A Cup at Wembley over Liverpool. This season must be a favourite for all Gooners – even if, like myself, you didn’t exist at the time! – for many reasons, but due to the locale of where the title was won, this season ranks among the best. This club has such a rich history, peppered liberally with such era-defining moments, it is in each fan’s best interests to learn about the heroes who shaped the club into the powerhouse it is today. Heroes such as Charlie George. The long-haired maverick who led defenders on many a wild goose chase and was the local boy who came through the ranks to shine so brightly. 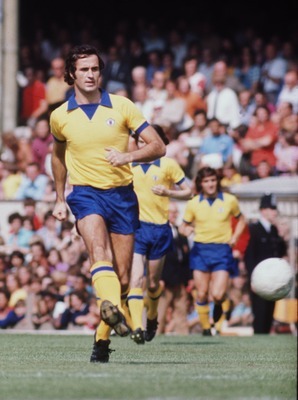 Icons of the game like George Graham – the Scottish midfielder who prowled his domain with intent. 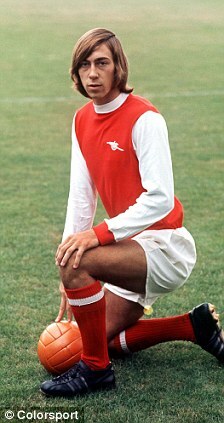 Later becoming one of Arsenal’s most successful managers, ‘Stroller’ as he was affectionately known, was a vital cog in attack and defence. Others like ‘Gentleman’ Bob Wilson between the sticks, the tireless Geordie Armstrong, the prolific Ray Kennedy, the effective Peter Storey, Pat Rice, Bob McNab, Eddie Kelly. Every man played a role. 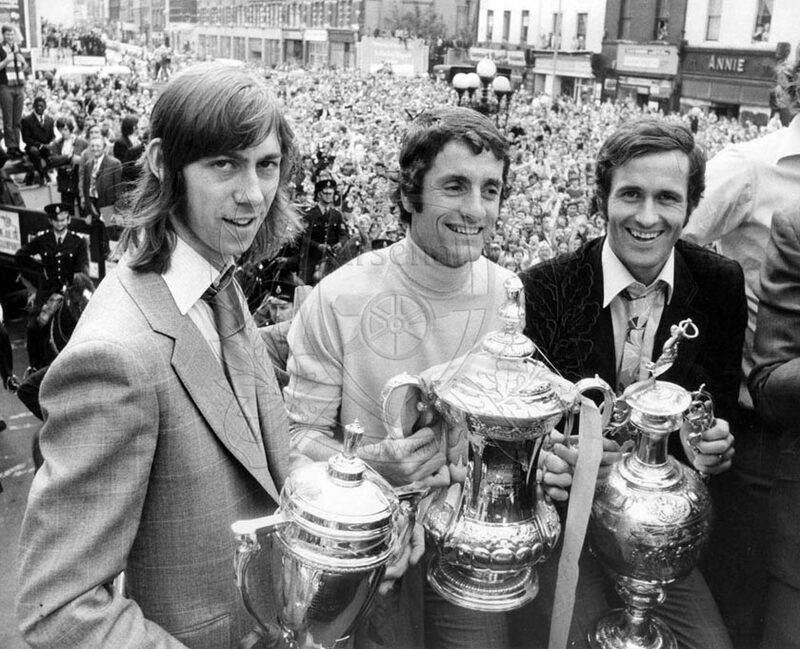 None epitomised the team and the joy that fans experienced more so than Captain Frank McLintock. The man doubted whether he would taste the sweetness of silverware after five successive defeats at Wembley and never contending for the title. The Scot organised his men so well, the mouthpiece for Mee and also the lynchpin in a watertight backline. He refused to let his dream die and rallied the troops whenever required. A lion of a man and the Double was just desserts for his massive efforts. These men helped fans live out one of the greatest moments in our history. Even now it stands equal amongst our other achievements. The team that Mee fine tuned so well had every asset that a Champion requires – grit, finesse, cool under pressure and leaders. Every single member of the squad could be called upon. 18 years sans a domestic trophy. 18 years of the neighbours boasting. With winning the League at the home of the very neighbours who made every football conversation painful. No more. We had won the League at their home. Their territory now desecrated and Gooners everywhere had the perfect riposte to any words from a rival fan. If you are a fan, then it is vital you know of the men who did it first, who made the Cannon on the shirts so awe-inspiring for players now. It matters little if you became a fan a year ago or know nothing other than the Arsene Wenger era – as long as you recognise the achievements of the former heroes which comprise ‘The Arsenal’. Read up on what these men did and you will appreciate how wonderful they truly were. So, even though I wasn’t present to enjoy the season, even though I was never lucky enough to enjoy the talents of George, Geordie and co – I thank them for what they won and also what they enabled. They constructed the perfect foundation for future glory. Although we would have to wait another thirty three years for another Championship triumph on tottenham soil, through their actions we were lucky enough to sing ‘ We did it again’.